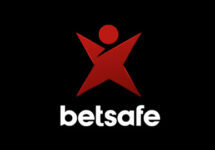 Betsafe – Game of the Week! Get your share of the prize pool! Win up to 1,350 Free / BIG Spins and a share of €10,020, every week! Players at Betsafe are getting the royal treatment with this campaign, heading now into a new week. As usual the Betsafe crew has selected one slot as “Game of the Week” that will hold all the goodies. For starters players can wager on desktop and mobile to earn up to 1,350 Free /Big Spins while at the same time taking part in a tournament where the TOP100 will win bonus cash. This week the chosen game is Wolf Cub™ slot from Netent. 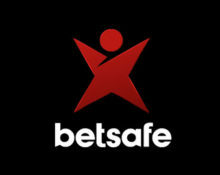 Betsafe not yet your gaming and betting hangout? Then sign-up now to enjoy their superb €1,000 Welcome Package with two huge 100% deposit bonuses up to €250 / €500 and one 50% bonus up to €250 . On top go Free Spins and even BIG Spins which are worth €1.00 each. Awesome weekly two-tiered campaign at Betsafe that has been extended into July 2017. Courtesy of the “Game of the Week”, players can look forward to up to 1,350 Free Spins weekly and take part in a fair tournament where the winners are determined by the highest win over 20 consecutive spins, irrespective of the bet size. Players can collect a total of 600 Free and BIG Spins on desktop and another 750 Free and BIG Spins on mobile on the Game of the Week during one promotional week. Once the stage requirements are met, the Free Spins can be claimed by opening the specified slot of the week. Wagering requirement is 35x FS winnings within three days. Players registered or residing in Canada, Ecuador, Nicaragua and Panama are not eligible for this promotion. OPT-IN on the promotion page and play on the game of the week with minimum €0.20 per spin. Get one of the highest average earnings over any 20 consecutive spins and finish in the TOP100 for a share of €10,020 in bonus cash. This week’s tournament will end at 23:59 CET on 9th July 2017 and prizes credited the following day as bonuses with a 35x wagering requirement. Tournament bonus prizes: 1st – €400 | 2nd – €300 | 3rd – €300 | 4th – €250 | 5th to 10th – €200 | 11th to 20th – €150 | 21st to 65th – €100| 66th to 80th – €50 | 81st to 100th – €40.